Looking forward to Diwali Fest? Start celebrating a little early at this fun workshop! 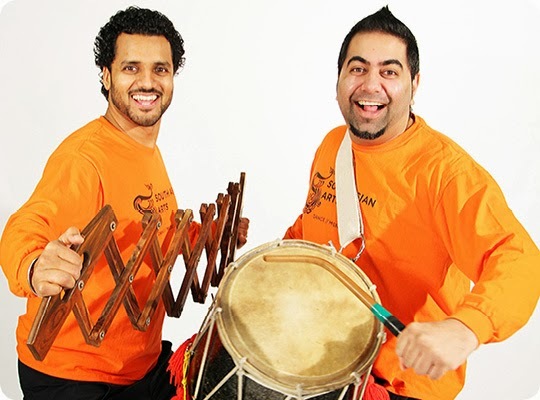 Led by Gurp Sian & Rayman Bhuller, South Asian Arts' interactive performance is based on the hard-hitting beats & energy found in the Northern Indian dance style called Bhangra. Participants will learn Bhangra dance movements & some will be given the opportunity to play the Dhol drum & other accompanying instruments. Through music & dance, students build an understanding & appreciation for art & culture, as well as gain self-confidence & self-discipline in a fun & interactive atmosphere. Admission is free. No registration is necessary, but please come early as this is a popular program. It's ideal for ages 5 & up, but all are welcome. BONUS FUN! Mehndi artist Nazil Kara will be joining us on Saturday to decorate little hands after each Bhangra workshop. Learn more about ArtStarts on Saturdays and ArtStarts at River Market.